As per the new categorisation of mutual funds, capital markets regulator Securities and Exchange Board of India (Sebi) has notified 16 debt fund categories. This is significantly more than the 6-7 that existed earlier. The objective is to have clearly demarcated portfolios for investors to choose rather than overlapping schemes that don’t do things much differently than others, and to distinguish products on the basis of risk. 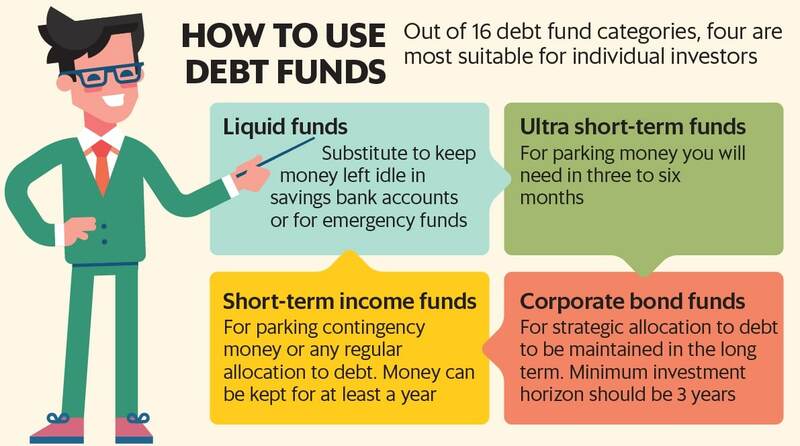 What does this change mean for the debt funds you currently invest in? Should you change the allocation or the scheme? You will certainly have to re-evaluate your holdings. While there is no need to alter your fixed income investment strategy, individual schemes will need a relook. The new categories define precisely the tenure or type of security a fund can invest in. To some extent, this can help identify the level of risk for funds in a category. For example, a short-duration fund can invest in securities to ensure the duration of the scheme is 1-3 years as opposed to a medium-duration fund which can invest in securities with a duration of 4-7 years, making the former less risky. Similarly, a corporate bond fund can invest in securities in a manner that at least 80% of the portfolio is in corporate bonds rated AA and above, whereas a credit risk fund must have at least 65% invested in corporate bonds of rating AA and below. 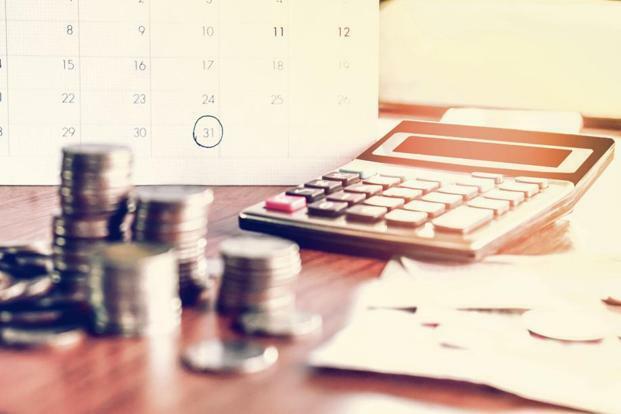 However, attention to detail is important because only one part of the risk—either duration or credit—is defined in a category and that too for the overall portfolio, not for individual securities. “There is no restriction on including securities with lower credit rating in a short or a medium duration portfolio. Previously too this was the case. If your primary objective is replacing your fixed deposit, you want to look for a short duration and high-quality fund,” said R. Sivakumar, head fixed income, Axis Asset Management Co. Ltd.
Theoretically, even after recategorisation, a short-term income fund can hold 10-20-year maturity government securities if the overall duration is within 3 years. But this adds unwanted daily volatility in fund returns. This is much like the analysis investors previously required to do, possibly with the help of their advisors. One apparent change is in the names and in some cases strategy of the original scheme which can be an irritant. Categorisation brings clarity in the type of portfolio you are choosing to invest in, but doesn’t change what or how you invest. Previously, even though dynamic bond fund was a separate category, there was a lot of active management in categories like short-term income plan. For example, in December 2015, when interest rates were falling, short-term income plans carried an average duration of 2.2 years with individual scheme duration touching close to 4 years; compare this with December 2010, when rates were rising, and the average category duration was 0.66 years. Ideally, the level of risk in a short-term debt product should not vary so widely but it was done to manage volatility in what is considered a relatively steady return fund. Fund managers now have less flexibility in managing a scheme. For example, a short-term income fund with a portfolio duration of 2.8 years won’t be able to add too much of a new security with a duration of, say, 3.5 years as that can potentially push the overall duration beyond 3 years. So does the newly defined range within categories restrict the ability of the fund manager to balance risk across interest rate cycles? “There is some flexibility built into the medium duration and medium-to-long duration categories to manage adverse conditions. However, the long duration category will always carry very high risk. Similarly, a minimum 1-year duration may not prevent volatility if rates go up sharply in a short period,” said Sivakumar. Categorisation by itself will not guide you on risk. It will, however, help you understand a risk range for the fund you invest in. There will be another change: unlike earlier, when two similar funds could exist within a category with minor portfolio differences catering to different types of investors (such as high credit short-term income versus short-term income fund with more credit risk), now you will have to be more discerning in choosing the appropriate fund. It will now be easier to pick a fund to fit your precise short- or medium-term debt fund requirement. If you have an advisor, check with her about the schemes you hold and the changes in the scheme. A name change, of course, does not necessitate any action, but any significant change in strategy will need a relook. Your overall fixed income allocation does not need to change. For example, if you are a risk-averse investor, you need not look at long duration or credit risk funds. Funds in the liquid and ultra short-term category will take care of your needs to park money immediately or create an emergency corpus. Short duration, medium duration and corporate bond funds can be used for short-to-medium term allocation. Stay with what you are comfortable, and only exit those funds where the management strategy has completely changed.